"My husband (who is not a cook) developed this recipe when looking through what we had in the fridge. 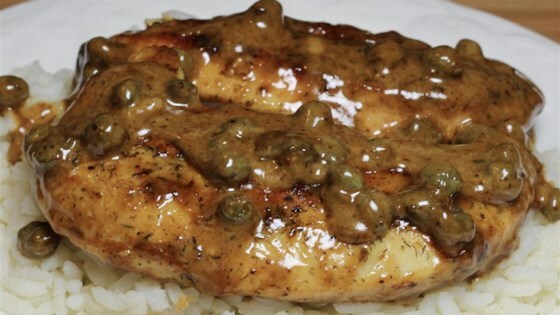 We love capers and my VERY picky 8-year old always asks for 'Daddy's chickie.'" Pretty tasty. I used fat free half and half instead of whipping cream. Would double the sauce next time.